New Hearth & Hand Spring Line! 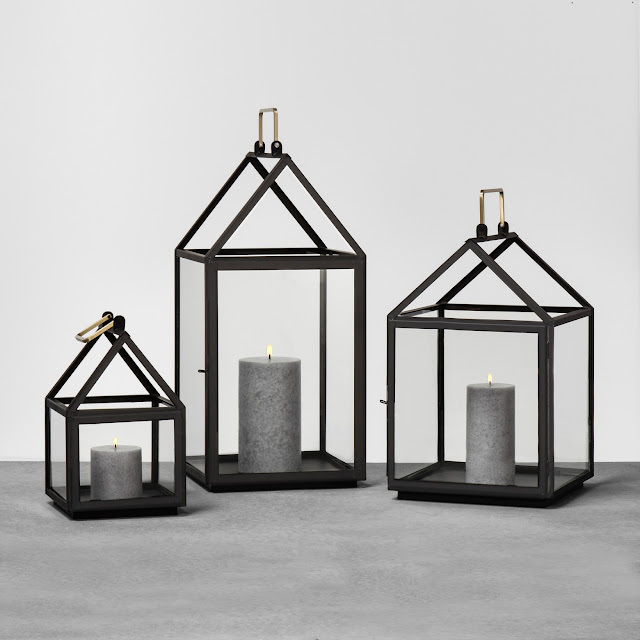 The Daily Nest: New Hearth & Hand Spring Line! New Hearth & Hand Spring Line! Christmas is over and now Spring is here! 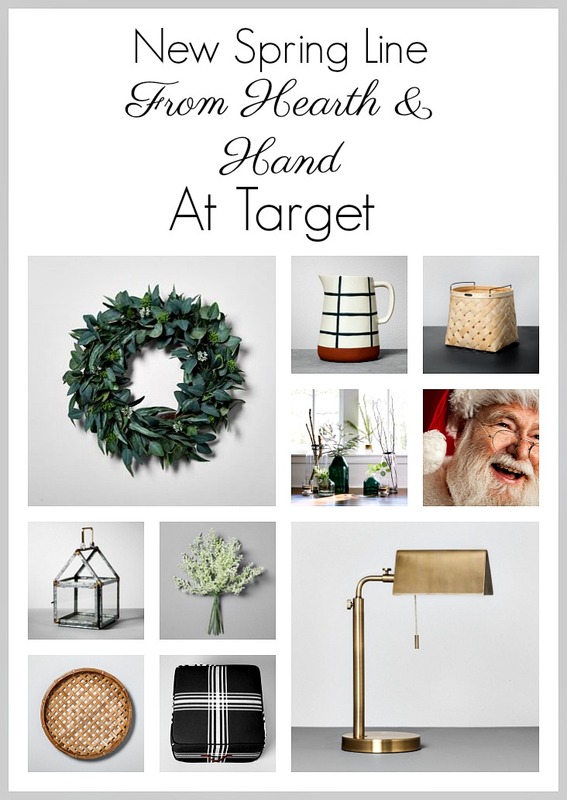 Well, not actually but the new Spring line from Hearth & Hand from Target is here! I'm not ashamed to admit it but I'm a little late to the party. But now that I'm on it, I'm on it for the long haul! I'm loving all their new (and not to mention) previous line! I don't know if you guys are like me but as soon as Christmas is over I'm ready for Spring...I'm thinking flowers, gardens, planting my herbs and dining alfresco and just enjoying our beautiful Spring weather. Which in my opinion is the best season in Florida! But as my husband told be today, "We have our coldest weather after Christmas!" Party Pooper!! Alas, I'll have to enjoy looking at the Hearth & Hand ...Looking?? Oh who am I kidding, I ordered way too much already!! 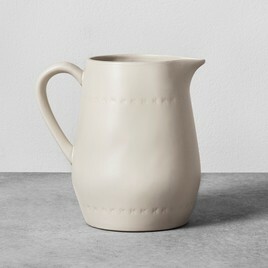 This cream stoneware pitcher was the first thing in my cart. I didn't have a white pitcher and I think everyone needs one. Not only is it functional, but it would also look so pretty with Spring flowers in it. These black house lanterns are shown with candles but I have the perfect window ledge where plants grow nicely so I'm going to fill them with succulents. 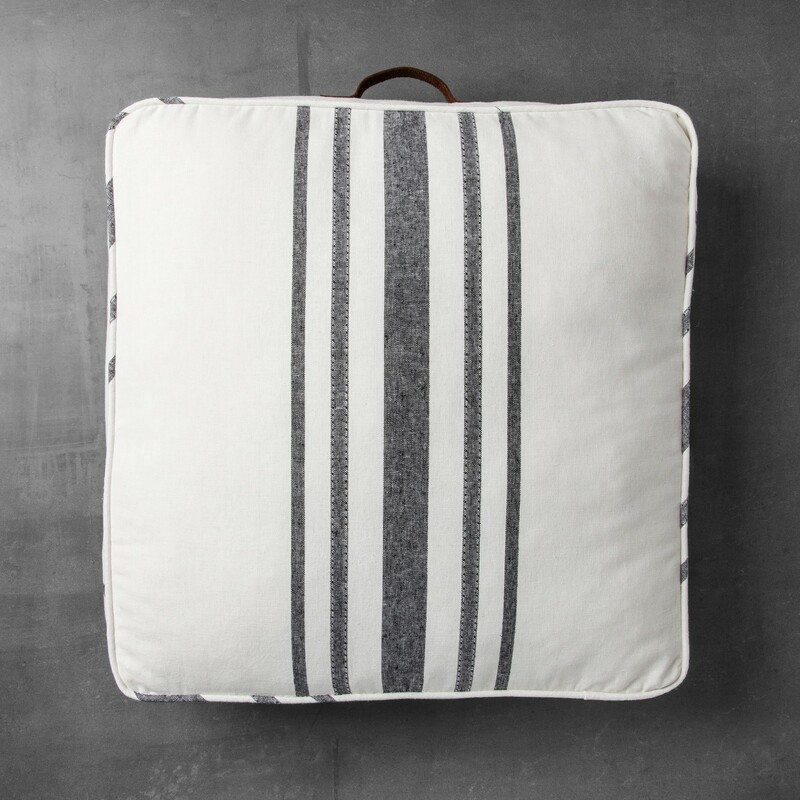 Aren't these floor pillows just too cute?? I got two of them and I think the grandkids will love to sit and watch movies on them! Have you discovered Hearth & Hand at Target?? I'd love to hear what caught your eye! Shop more Hearth & Hand by clicking here!